Meghan Trainor is rumored to have a new boo, and when we first saw the pictures we were like, man, this dude looks SO familiar. The body-positive singer shared an Instagram of herself with this ~mystery man~ wearing onesies, in which she praised him for being amazing (AND used a heart emoji, like, that means something, right!?) and celebrated making it through an entire tour without canceling any shows. Now, although Meghan Trainor definitely has a long list of super cool friends (we’re not jealous), we’re inclined to think that this guy is a bit more than that. Super cute, right? BUT the reason why he looks so familiar will blow your mind a little bit. The guy in the ‘gram is Daryl Sabara, aka Juni from Spy Kids! Now that we know, it’s OBVIOUSLY Juni, but it’s hard not to think of stars who we mostly saw as kids as those kids forever. Daryl Sabara is all grown up now at twenty-four (much like his former costar, Alexa PenaVega, who we can’t believe is married and pregnant!) – although he’s pretty much as adorable as he was in Spy Kids back in the day. Our suspicion that Meghan Trainor and Daryl Sabara have a little somethin’ somethin’ going on was only heightened by the second Instagram pic of the couple. That’s THREE red emoji hearts, people. Count ’em. THREE. 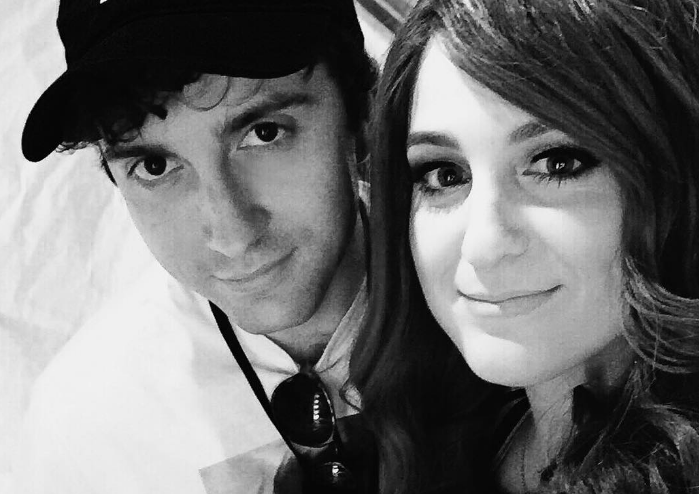 Of course, this is all 100% speculation, and we totally respect Daryl Sabara and Meghan Trainor’s privacy… but we’re just saying, they look totally cute, and if they’re not a thing, they should maybe consider becoming a thing.